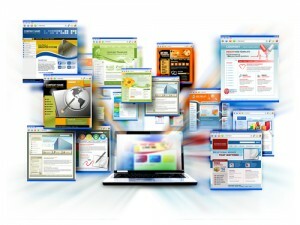 Does your website represent your practice well? Is it updated and professional? Our project manager and in-house designers and copywriters will work with you from idea through implementation, keeping you updated every step of the way. After a little bit of input from you up front, we run with it, keeping you in the loop, but not bogging you down with the details. You’ll find that we’re not only talented, but very accessible. Your calls and emails will be answered right away. To get the results you’re looking for you need a dynamic website service, not a static website product. Our website service not only gives you an appealing custom branded dental website, but keeps your site fresh and is frequently updated with new content. This is necessary to rank high on Google. When you work with DemandAdvisor you have the advantage of our unique custom design approach and years of experience creating professional, interactive dental websites. All our websites come with standard SEO included, but premium level SEO is available for even more new patient lead generation. Your website can include information about your practice, your dentist(s) and staff, procedures you specialize in, featured products, your contact information, and anything else you would like to include. Patient appointment form: allow patients to request appointments directly from your website. Online payment form: give patients the option to pay online for their convenience. Online secure forms: provide patients the option to fill out forms online before coming in. This saves them waiting time, and improves your staff productivity…a true win-win. Post files for download: you can post white papers, past newsletters, or any other document you want on your website. Another important consideration is having a secondary website optimized for mobile applications such as smart phones and tablets. Our mobile website service leverages your main website so all updates to your main website automatically transfer to your mobile website. Once your dental website is launched, we will continue to work with you to maintain, promote, and update the website for years to come. We have launched hundreds of websites all across the country and we would love for your dental practice to be next. Please contact us today.